Have you ever arranged a plumbing service? Well, if you do then you should be familiar of the topic that we will be discussing here. 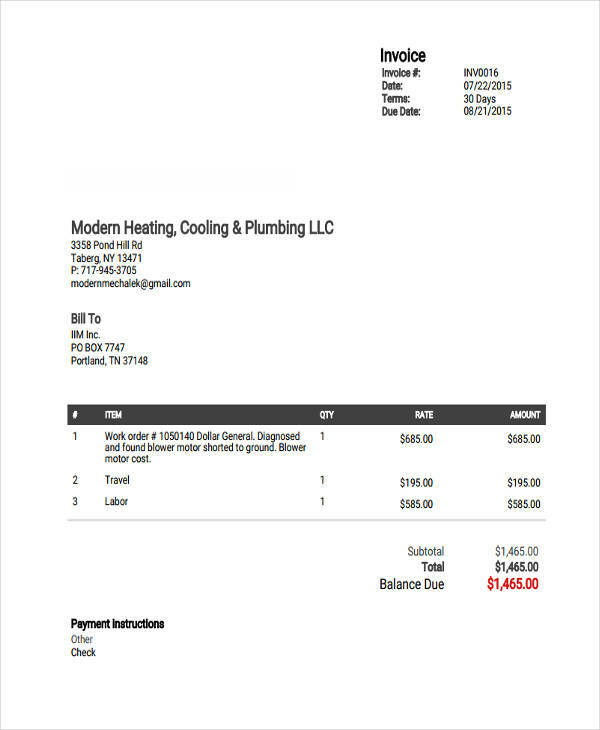 However, we are not limiting our scope to knowing how a true plumbing invoice should look like so we know if it is fake or not, this is also for the knowledge of those who are starting in the plumbing business. 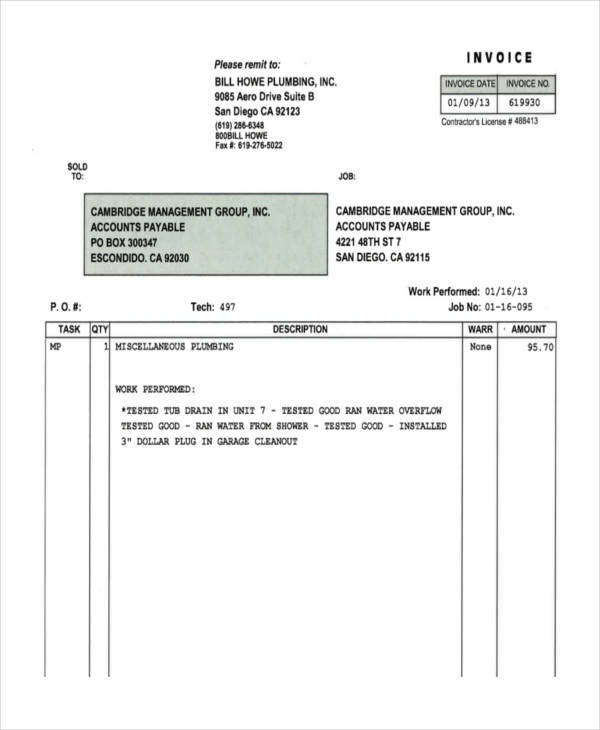 Nonetheless, note that this is not a proforma invoice. 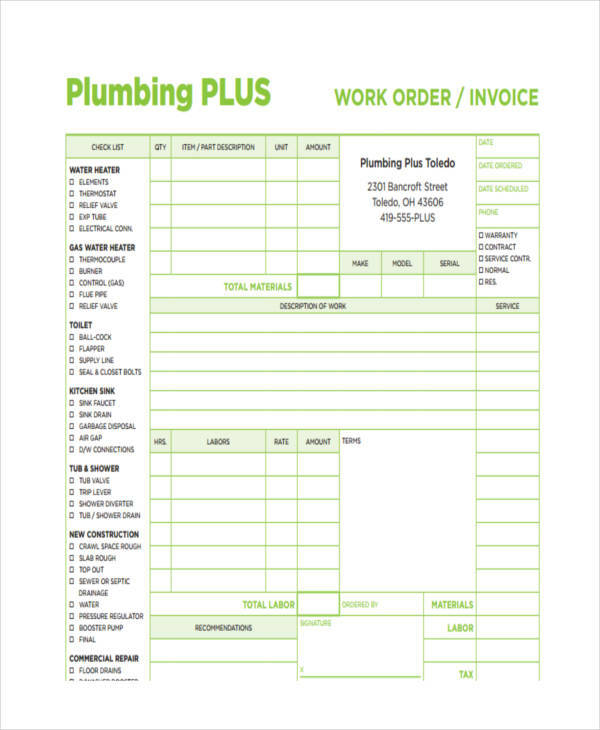 The plumbing invoice form contains the list of all the services or work completed or as requested. 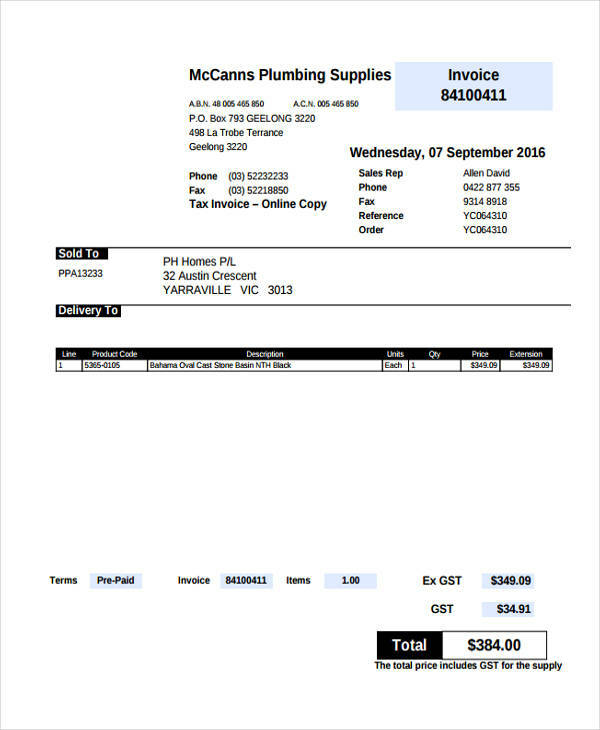 Plumbers usually prepare invoice after the job is done and before going to their next destination. So when you are in this type of service, make sure to scroll down and have a look at some of the examples. Your Business Information. Include your business name, your address, and your contact number. If you are not the one who did the service, include the worker’s name and his/her contact information. The Products or Services. 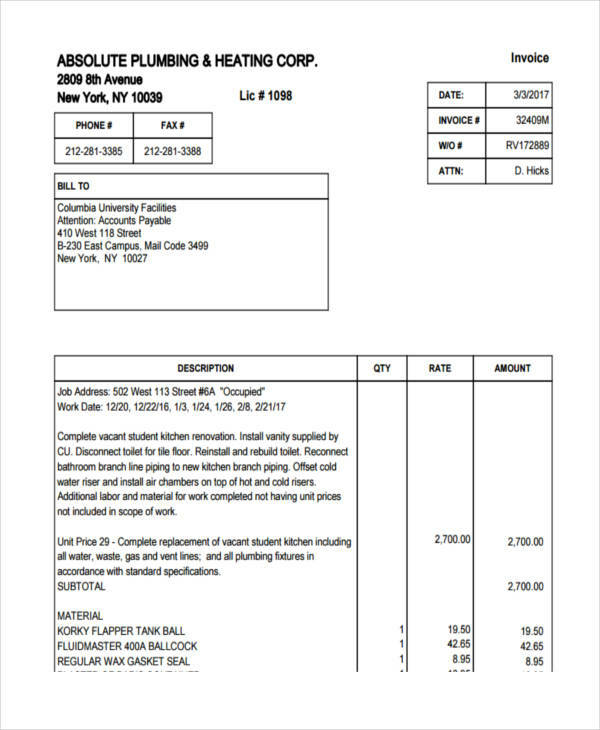 This is the main content of a plumbing service invoice. Make sure to list down all the services or products you have rendered. Also, include the corresponding price for each item indicated. The Buyer’s Information. Include the name of the person or company you have given your service to. 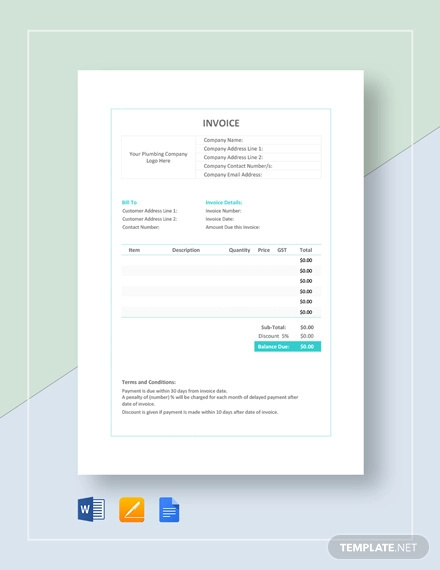 Here are the recommended steps to creating a professional invoice. Create a format. 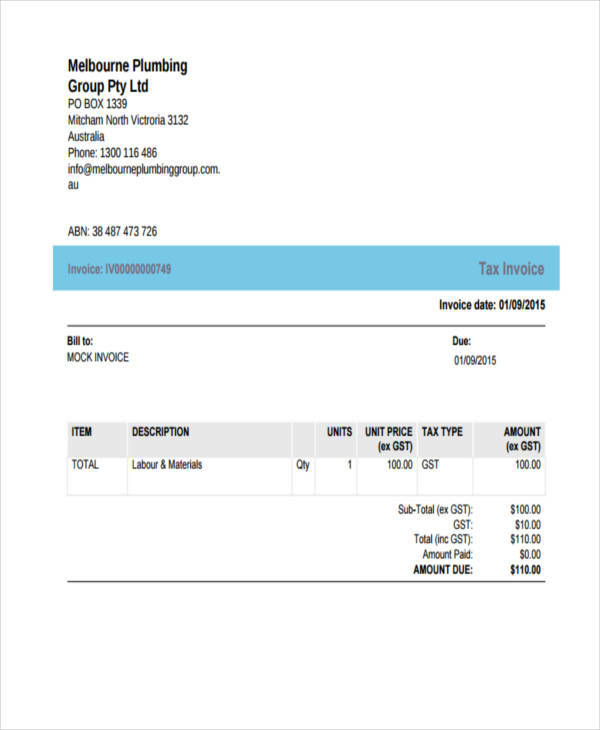 An invoice doesn’t have a standard layout. The important thing is that it can be read and easily understood. Make a format of your own or try to imitate some that you think suits your style. Write your name and all important information. If you are running a plumbing service or simply a standalone worker, always write your name, preferably on top. Write the recipient’s information. Write down the name of the recipient of your service or products. List down the services. Enumerate the products or services availed and your prices on each of them. Payment details. 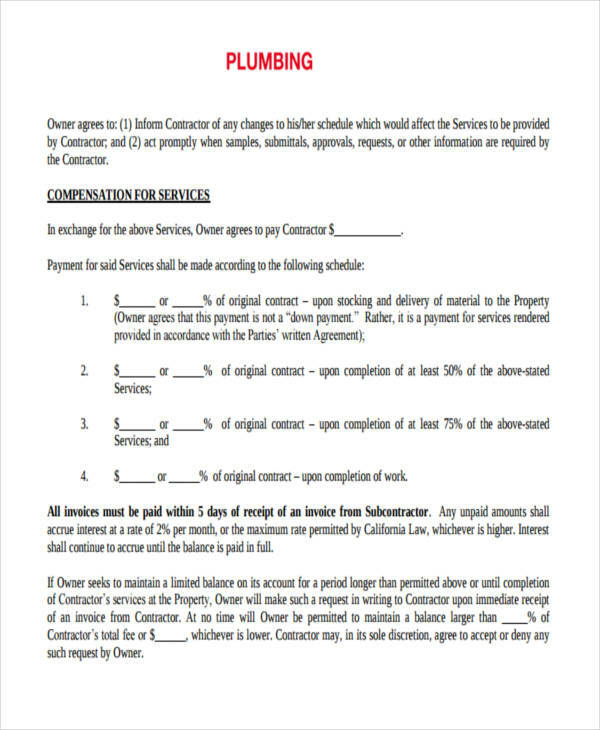 Lastly, write down your payment invoice details or options so the buyer knows how to pay you. Most of the time, we tend to disregard those invoices so we throw them into the bin. However, we should remember that they have big importance in so many ways. A simple invoice may just be a piece of paper but it makes a big impact when you are in trouble. 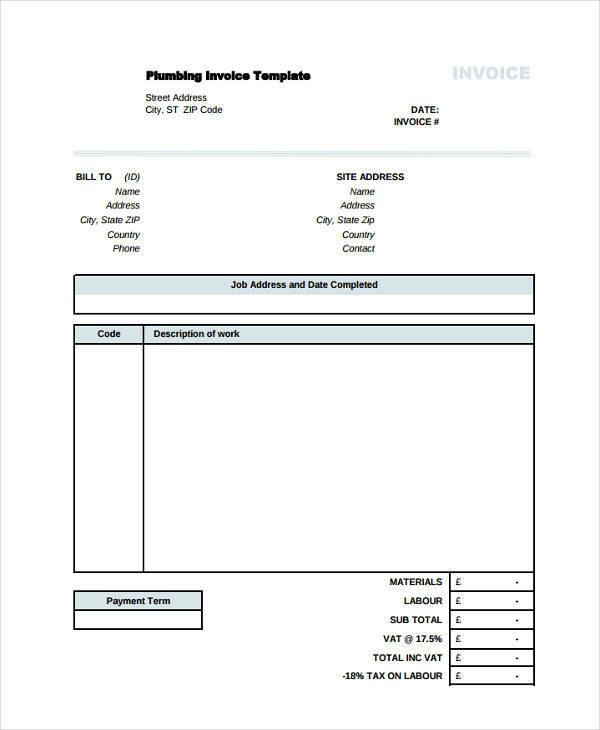 Here are a few reasons why a plumbing invoice is important. It serves as a record. If you are into business and you want to keep track of your finances, keeping all those invoices from your plumbing services would help. You will know how much money you have gained from all the works you rendered, let’s say in a year. It adds value to your business specially when you know that you are earning more than what you expected. It’s a guarantee to your client. Some people who avail of plumbing service are meticulous and careful who they employ to do or fix their water system. Specially these days when people pretend to do some house works yet in turn rob you and leave you empty-handed. It is important to provide an invoice so they know your business invoice is legal and that your work is genuine.